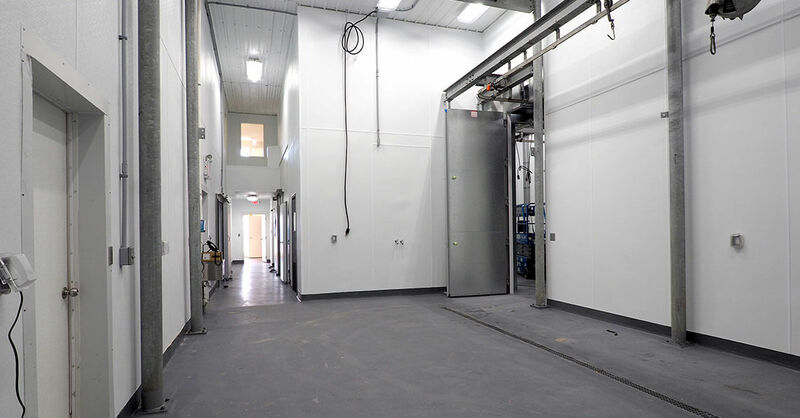 Alltech provided design, procurement, and installation services for a conveyance rail system as part of an organic-certified meat processing plant renovation in Minnesota. 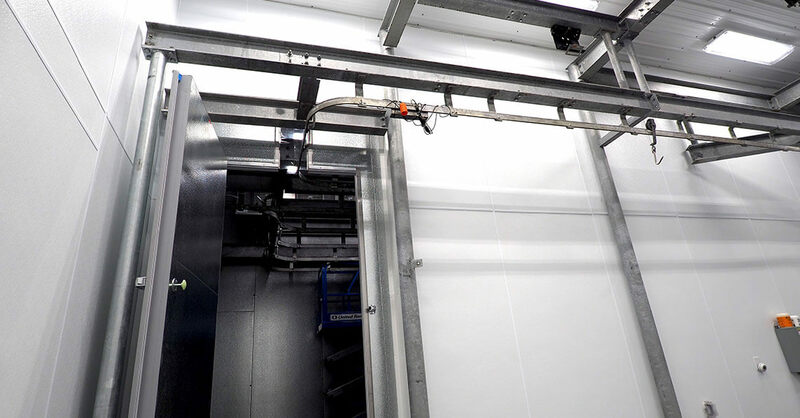 The conveyance rail allows meat to be efficiently transferred to various locations within the 4,400 square foot plant including the cold storage area. The plant’s original function was pork processing. 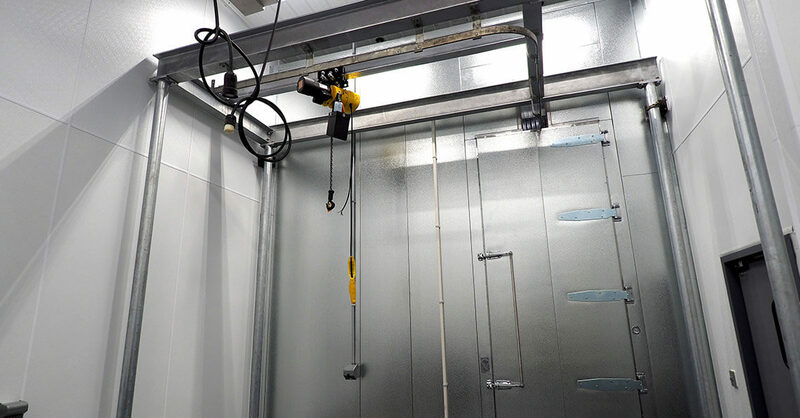 Alltech provided a raised height conveyance system to allow the owner to process beef in the facility. The local facility now processes humanely raised, organic fed, USDA certified meats.